Every 12 seconds another school-age child experiments with illicit substances for the first time—a grim reminder of just how pervasive drug abuse has become among young people in our modern society. 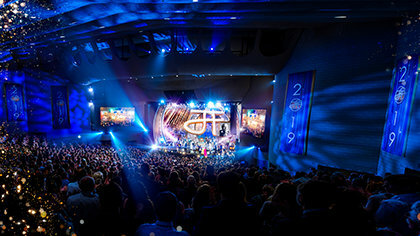 To combat this epidemic, the Church of Scientology, under the leadership of Mr. Miscavige, sponsors the largest non-governmental anti-drug information and prevention campaign on Earth. To date, the Church-sponsored Drug-Free World program has distributed over 100 million drug education booklets across the globe. It has been conclusively shown that when young people are provided with the truth about drugs—factual information on what drugs are and what they do—usage rates drop commensurately. Through statistical surveys, the Drug-Free World campaign estimates that, to date, it has prevented some 500,000 young people around the world from engaging in recreational drug use—or worse: plunging into the devastating and numbing world of all-consuming addiction. 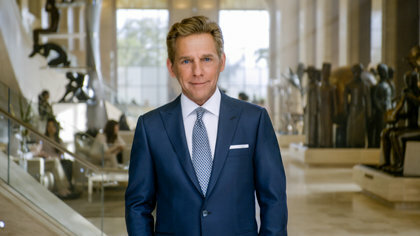 Mr. Miscavige’s original initiative included a guarantee that the campaign’s informational components would be available, free of charge, to all who requested them. Following that dictum, the Church of Scientology produces secular publications (containing no advocacy for any Scientology beliefs) for like-minded anti-drug coalitions, government institutions, civic groups and schools. A series of public service announcements and a 100-minute documentary. In all, the Drug-Free World campaign represents an enormous stride toward raising a generation who hope to remain free from the ravages of drug abuse throughout their lives.